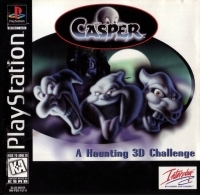 Description: Use your ghostly skills to solve complex puzzles, find secret passages, hidden clues, and locate the lost pieces of the dimantled Lazarus Macine. 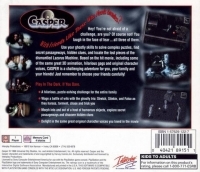 Based on the hit movie, including some of the games great 3D animation, hilarious gags and original character voices, CASPER is a challenging adventure for you, your family and your friends! Just remember to choose your friends carefully! This is a list of VGCollect users who have Casper in their Collection. This is a list of VGCollect users who have Casper in their Sell List. This is a list of VGCollect users who have Casper in their Wish List.